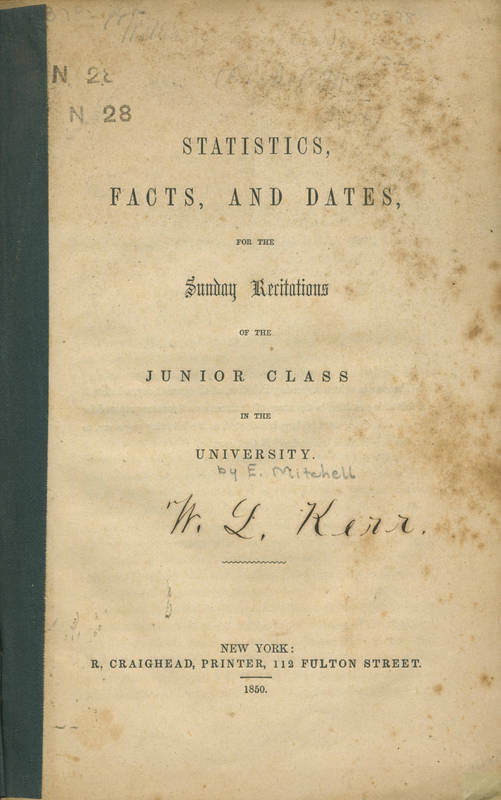 The primary method of instruction was not lecture but recitation, which required students to study the textbooks and other material in order to recite answers when questioned by a professor. Antebellum educators did not consider independent thinking a proper goal for education. Science faculty occasionally performed experiments or demonstrations, but students were not responsible for laboratory work. All students took the same courses, and there were no electives.